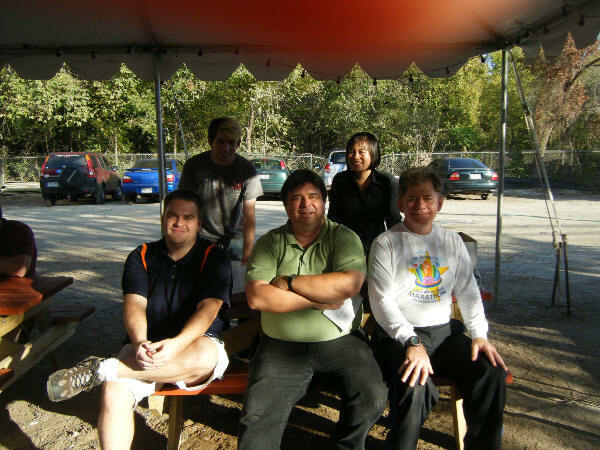 Welcome to AustinDriveClean.com - home of Austin Hybrid and Hypermiler Club. Hypermiling is another way to go green and clean, while keeping your cortisol levels down. 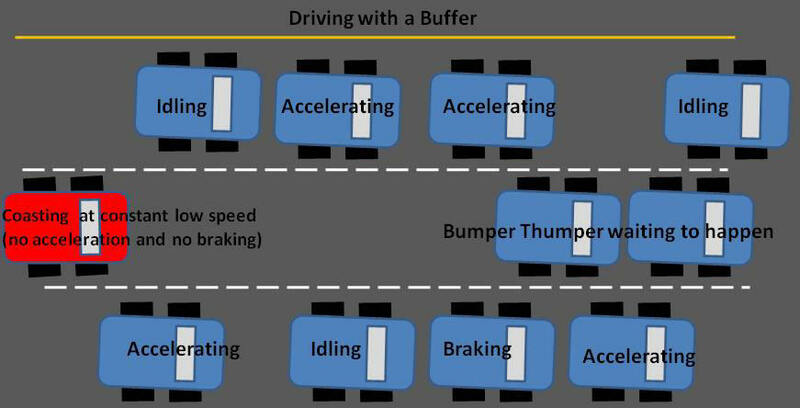 While hypermilers tend to accelerate at slower rates, you'll find that in using these techniques, you'll get to places at the same time those "fast" drivers arrive (highway driving excluded). You'll also arrive less stressed and with more gas in your tank. Remember, smoother is always better. You cannot drive faster than the car in front of you, and you cannot drive through red lights. So you might as well get good fuel economy while you're waiting. Here are some tips. Please only use the tips you feel comfortable using, and be aware of others drivers. Hypermiling takes concentration; so practice during off-peak driving hours if you need. This is not an all inclusive list. Private Driving lessons available to individuals or businesses. Save you and your business money at the pump! Air up your tires to the sidewall pressure. This is what is on the tires itself. Tires tend to lose pressure over time. Make sure you check your air pressure regularly, and air them up when they are cool (not hot off the road). Properly aired up tires will give you better traction and are safer than deflated tires. Get an alignment if your car needs it. It probably needs it. Park far away from entrances in a large parking lot. It will give you time and space to exit the parking lot at your pace. If there are hills and rises in the parking lot, park at the highest point and let gravity help you pick up momentum. Why use gas when gravity is free? Park facing out if you can. 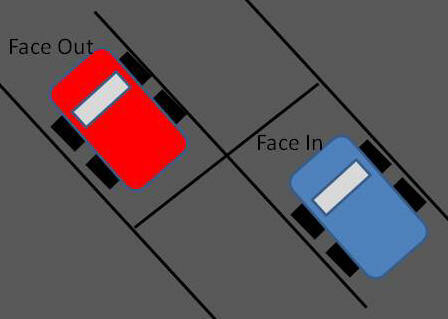 This means that if there are two parking spots face to face, pull through the first spot into the second. Your car will be facing out so that when you leave, you can pull straight out. This saves gas as you do not need to back out and pull forward. Don't "warm up" your car. No idling. Your car wastes more gas "warming up" than you save getting it up to optimal temp. Take extra weight out of your car. Do you really need to be hauling around 50 lbs of golf clubs? In some vehicles, every 50 lbs can take off 1 mpg. Make your care more aerodynamic. Roof rack? Gigantic Flag? Extra antennas? Unless you need them, take it off. These items will cause drag and wind resistance thus decreasing your mpg. Watch traffic lights and learn the patterns. Which light turns green next? You can also judge when lights are about to turn by watching the pedestrian walk signals. Some have timers with flashing numbers, some only have the flashing hands. 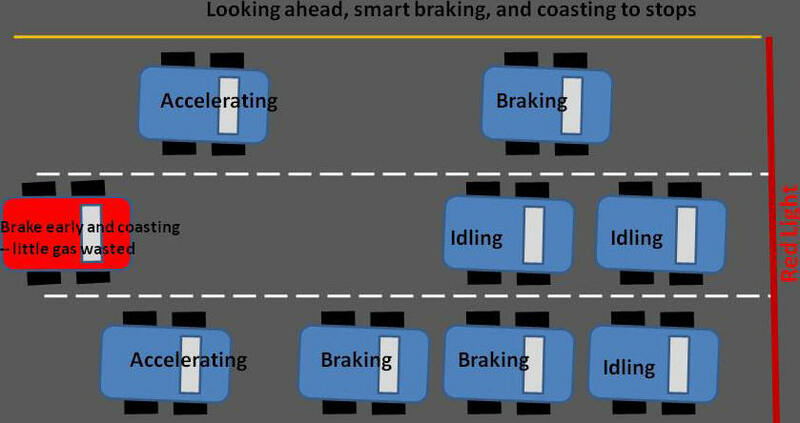 Coast instead of braking. Coast early! Simply take your foot off the gas and let physics slow you down. There's no prize for people who get to a red light or stop sign first. Learn to look ahead on the road. Don't just look at the next light coming up. Look at all the lights coming up. This is true for any type of driving. When you are aware of what is coming up, then you can properly set up your car. When you come to a red light, begin braking early. Brake early to slow yourself down so that when you get to the light, it will have turned green. You see a 2 green lights and 1 red light ahead. It is like that the two green lights will turn red before you reach them (if the timing is done correctly. Washington, DC has horrible light timing, btw). Start braking gently now to bleed off some speed. Others around you may pass you by, but chances are that they are speeding up to get to a red light. They are wasting gas getting to the red, wasting gas by idling at the red light, and then wasting even more gas by accelerating at the light. Using smart braking and coasting, have slowed down your vehicle so that you reach the lights after they have gone through a cycle and are green again. Create a buffer in rush hour traffic. Leave a large buffer between you and the cars around you during rush hour so that you can travel (coast) at a low (very low) constant speed even though cars around you are stopping and starting. Use your blinker early on. I put on my blinker twice as early as most people. The more informed other people are of my intentions, the safer it is for everyone. No jackrabbit starts, no racing, no flooring it, and no peeling out. No drive thrus and no idling. It takes 7 seconds worth of idling to start your modern car. If you are going to idle for more than 7 seconds, turn off the engine. This may or may not apply depending on the age of your car. Try to find a route that requires less stops and less left turns. Left turns waste more gas. Avoid driving in traffic or during rush hour. Driving when there are less cars on the road will not only give you more space to drive efficiently, but it's also safer than having to deal with crowds of impatient people zipping through lanes and speeding. Now that you don't floor it, ease into the gas pedal. Drive as if there's a Fabergѐ egg on the pedal. How gently would you apply pressure if you had a fragile object between you and the pedal? Try to not be on the gas or the brake. I'm only on the gas if I'm accelerating. I brake for safety reasons, otherwise I coast and let physics and air resistance slow me down. Unless I'm accelerating, I take my foot off the gas pedal and coast. When you brake, do it gently (unless you have brake harder for safety reasons). Brake as if there is an expensive Faberge eggs on the pedal. Easy does it. Another variant of this style is called driving without brakes. The idea is that you would drive as if you had no brakes. You would leave more space between yourself and the cars around you. You would coast sooner and more often. You would also have a large buffer of space between you and other cars. Slow down. Slow down. Slow down. Speed limit or slower. When you speed on the highway, you're losing fuel efficiency due to wind resistance. Also, slower us usually safer. 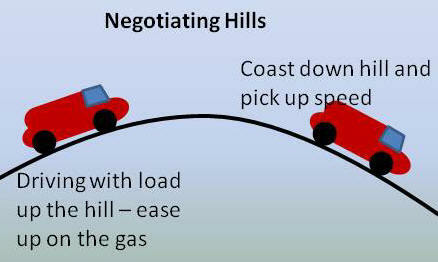 Let off on the gas pedal when you are going up the hill. This is called driving with load (DWL). You will lose a little bit of speed, but you will gain it back on the downhill. Pulse and Gliding is accelerating up to speed, then coasting for as long as you can without losing significant speed (~5mph). Combine this with hills, and you take advantage of gravity working for you.